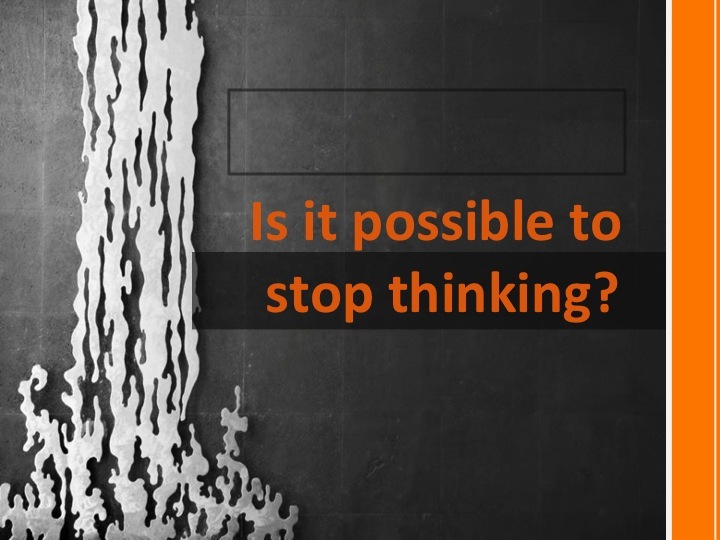 Thought for the week: Is it possible to stop thinking? Well of course not because every minute of the day your thinking about something whether you want to or not. Hey don’t believe me well go and search it up. And by the way I met Derek at my new school, Virgo Fidelis. Lovely to hear from you. Good to have your contributions to our thought of the week. I hope you are doing well at your new school. WOW that’s a deep post! As humans we will always be thinking about “something” naturally….. but thinking to deep is not always healthy… What you think has an impact on how you respond or react. Having a positive attitude really does have a positive impact on life without you knowing it! Live, life, love!!! ; 0) have a great week! Well obviously not because even if you tell yourself to stop thinking, your thinking about not thinking. Or if someone is talking to you and you try to stop thinking, your thinking about the words they say. You always have to be thinking whether you like it or not. If you could stop thinking, (well you can’t anyway) what do you think it will be like? (Could be next thought of the week). You never stop thinking because it’s natural for a humand to always think. For an example right now I’m thinking about what to type and your’re thinking about my comment. Also even when your asleep your thinking about your dream or your nightmare. When your asked a question or even when your just looking around you think about what you can see and how to answer. So I think you never stop thinking. I agree with everyone, obviously. Well, it’s obviously a no because if you accidentally brake a plate and throw it in the bin (not literally) you will think about it.But if you sleep on the idea you shall wake up and you might see the plate in the bin and it will refresh your memory. I think you can stop thinking. You can stop thinking if something happens to your brain or you die. Yes you can stop thinking because if you practise your mindfulness ! I don’t think it is possible to stop thinking unless you’re dead. I think this because you must think to do everything even if you don’t actually know it. Since a thought is in your brain, it’s still working so your still thinking. I don’t think so , because when you are on your computer , you are still thinking about your life.